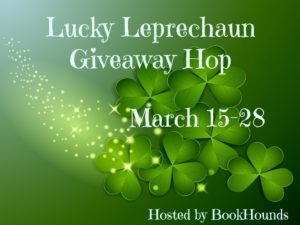 Giveaway Ends 3.28.18 and open to all who can legally enter. Against the Ropes by Sarah Castille. Hunting Hour by Msrgaret mizushina. My favorite read so far this year was American Street. I think it’s been The Cruel Prince, it was very Fae Gossip Girl 😉 . I also enjoyed Truly, Devious a lot. I really liked The Widows of Malabar hill. My favorite book has been The Great Alone by Kristin Hannah. One of my favorites was Nora Robert’s Year One. My favorite so far this year is Dear Martin. I really enjoyed The Wife Between Us by Greer Hendricks and Sarah Pekkanen. Ready player one for sure! So far this year I have read many books that were ok books but nothing that really gripped me yet. I haven’t read any new releases this year. I am currently working my way through the Philippa Gregory books which I love! The Final Six is my favorite so far this year-it is fantastic! The best novel which I enjoyed greatly was The Memory of Us by Camille di Maio. How to Stop Time by Matt Haig. Lake + Manning by Jessica Hawkins! My favorite was A Court of Wings & Ruin by Sarah J. Maas. “Lethal in Old Lace” by Duffy Brown was a really great read. I loved “Anything is Possible” by Elizabeth Strout. I’ve done a lot of re-reading well listening to my favorites for the first time, but my favorite of the year so far that is a non re-read would be Unchained by a Forbidden Love (Eternal Mates, #15) by Felicity Heaton. Say You’ll Remember Me by Katie McGarry. Cast in Deception by Michelle Sagara. The Last Chance Matinee by Mariah Stewart. I liked the Jekyll Revelation. The Liquid Cool Series by Austin Dragon. Thanks for the opportunity ? So far, my favorite is Lost Lore: A Fantasy Anthology. On a re-read of The Wheel of Time series and currently partial to book 5, The Fires of Heaven. Guide to investing by Robert Kiyosaki. The Rebels of Gold by Elise Kova! In Harmony by Emma Scott ? I loved The Sidelined Wife by Jennifer Peel! It Ends Wit Us by Colleen Hoover! Nothing has yet to keep my interest! I loved Donna Andrews’ The Real Macaw. I enjoyed reading Sue Grafton’s final book, Y Is For Yesterday. My favorite read this year so far has been the illustrated edition of Fantastic Beasts that I got for Christmas! My favorite so far was a memoir titled “Educated”. I really enjoyed The Wedding Date by Jasmine Guillory! The Shadow of What Was Lost by James Islington is one of my favorite reads. Anthropologist on Mars by Oliver Sacks. My favorite read has been Lilac Girls by Martha Hall Kelly. Queen Sugar was my favorite book to read this year! Loved the book as much as the show. I loved A Discovery of Witches by Deborah Harkness. I have been too busy to read this year but I plan on it soon! So far my favorite has been ‘Home Sweet Murder’ by James Patterson. Shield of Winter by Nalini Singh. I just finished Home Sweet Murder! My favorite read is probably The girl with all the gifts. I liked Forever My Girl by Nicholas Sparks.